​COMMUNITY - The word Satsang literally means to keep company with the truth. It’s about being in community with people who share the desire to learn and grow. 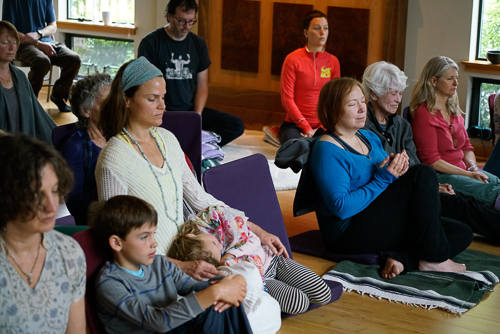 Satsang is at the heart of our vision, and in every corner of Dayaalu you will find opportunities to make connections and find a compassionate and supportive community. Read More. 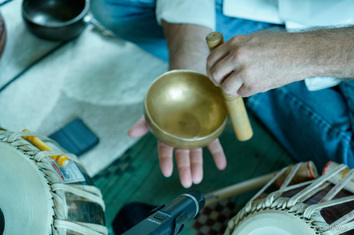 ​​HEALING, HEALTH & WELLNESS - At the heart of Dayaalu Center you’ll find allopathic and alternative healers working together to create integrative and collaborative care. Whether moving through a serious medical condition, a soul concern, or the desire to deepen the way you live, our medical professionals, therapists, bodyworkers, and intuitive healers are here for you with a common purpose — to illuminate and animate our healthiest lives together. Our unique combination of classes, therapies and nutrition provides fertile ground to grow and cultivate a healthy life. ​Read More. Dayaalu Center is known for its warm and welcoming atmosphere. Located in the heart of Winslow and walking distance from the ferry, we have a variety of practice rooms and other facilities. We have an 800 square foot class room and a 240 square foot classroom that can be combined, a commercial kitchen, a large lobby with kitchenette, 3 treatment rooms, an infrared sauna/shower room and beautiful gardens all around. Benefits of Far Infrared Sauna use include: detoxification, improved blood circulation, weight loss, lower blood pressure, pain relief, anti-aging/skin purification, cell health, and more! Our sauna can fit up to three people, though we find two is more comfortable. The sauna is available to rent for 30 minutes of use. Read More.